By Erin Biba on May 2, 2014 at 1 p.m.
Two things you should know about exploding whales: You can vent a whale before it gets severely bloated, which scientists do all the time. And a whale is not going to explode unless you poke it. 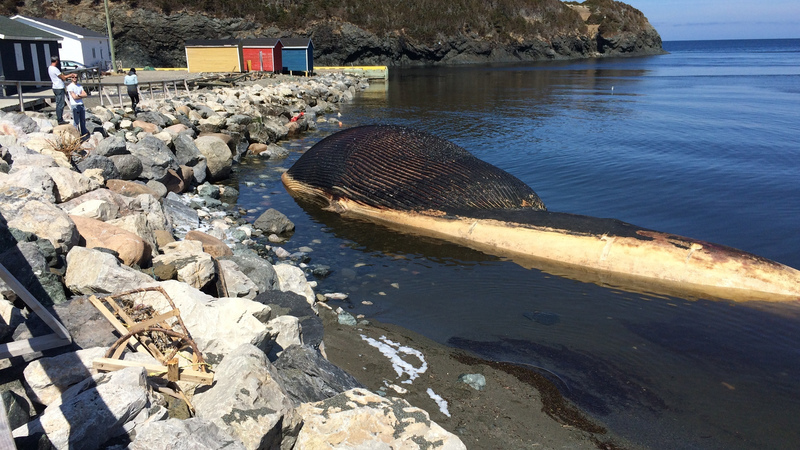 Exploding whales are all the Internet rage right now--there's a beached blue whale at risk of doing so in a small Canadian town right now. And as much fun as it may be to watch giant, rotting corpses spew guts all over innocent bystanders, that’s not realistically how a dead whale usually goes out. Scientists in every ocean-facing state in the US very closely monitor all mammals that wash up on our nation’s beaches. 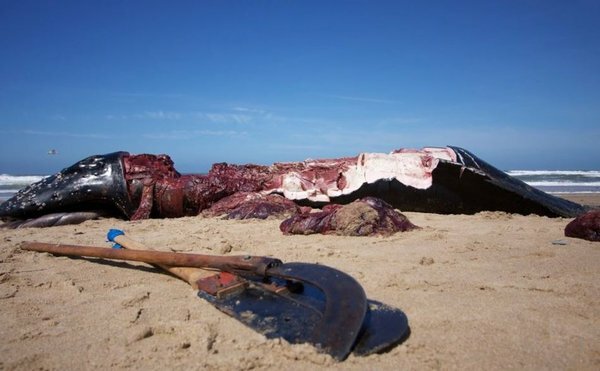 Every time a whale hits sand, stranding teams with specialized educations and government permits head to the scene and, if the whale is dead, take quick action to necropsy it (autopsy on an animal). And there are two important facts about beached whales that have been left out of most of the stories you've read. First: You can vent a whale before it gets severely bloated, which scientists do all the time. Second: A whale is not going to explode unless you poke it. To get a better understanding of what really happens when a dead whale ends up on a beach I called up Ari Friedlaender, an assistant professor at the Marine Mammal Institute at Oregon State University. He spent six years coordinating North Carolina’s Marine Mammal Stranding Program. During that time Friedlaender necropsied about 500 marine mammals, roughly 60 of which were whales. He says the majority of the time, scientists take a whale apart before it has a chance to become too bloated. It’s important to necropsy a mammal within two hours of washing up on shore -- that’s when the organs are most intact and useful for science. After 24 hours of sitting, the carcasses have decomposed too much to be useful for research. At that point scientists will come in, measure and deflate the body, cut it up, and bury it so that people can get back to enjoying their beach. Of all the whales he’s necropsied, only about 12 were so far gone that they couldn’t be used for scientific purposes. So how do you degass a whale? It’s all about getting the right angle. But first, let's explain why whale carcasses explode in the first place. Let’s take a moment to talk about whale anatomy. Whales are incredibly well insulated with blubber. That layer constricts their entire body. “They’re really well wrapped,” says Friedlaender. And when they die, their bodies heat up fast. Normally, blood running through their system is passed through fins where there isn’t any insulation and that helps cool them down. But when they’re dead, the blood doesn’t circulate. That heat increases the decomposition of their insides. This creates gas that, along with gas produced by the bacteria that lives in the guts of all living things, causes their bodies to bloat. Whales that die at sea will initially sink. But gas build up will make them float back to the surface and drift onto land. "[When venting a whale] you want to make sure you’re not wearing anything you care about." That means generally when a whale carcass gets stranded, it’s already a little bit bloated. So when a stranding team arrives on the scene the very first step they take is to vent the carcass. “You want to make sure you have some safety equipment with you. And you want to make sure you’re not wearing anything you care about,” says Friedlaender. The member of the team charged with releasing the gases will walk around the carcass and feel for areas that are less pressurized. “You don’t want to cut into a place that’s under the most amount of pressure. You can go around with your hand or with something that’s not sharp and you can poke around and feel the animal. The gas is trapped in several parts of the whale. You have to take your time,” he says. After they find an ideal location, the scientists will use a special tool designed specifically for cutting up a whale called a flensing knife. Shaped like a hockey stick, the flensing knife has a handle that’s about six feet long with a twelve to eighteen inch blade at the end. 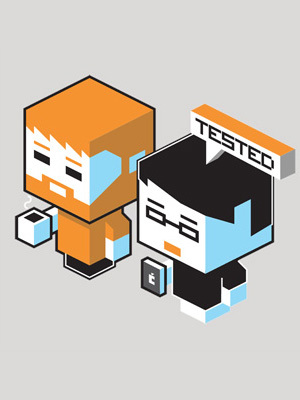 “You want to stand as far off to the side as you can and make an incision that’s facing down. You want to stand right up at the snout and try to reach around the corner and open it up so that the more flexible tissue is releasing the energy and you’re kind of hiding behind the whale,” he says. The flensing knife has to be very sharp because it’s not easy to make that incision. Friedlaender says the first cut should be as long as possible, several feet even, because smaller cuts can cause an explosion. It’s possible that it will take more than one slice to fully deflate the carcass. But once that’s done, the team can get on to the business of cutting the whale down into pieces and disposing of it. In some cases, if they can get their hands on large enough equipment, the scientists will dig a big hole on the beach and push the full whale into it. Most commonly, however, they will cut the whale up and bury it in several pieces along the beach. It might sound weird to turn a beach into, essentially, a whale grave, but really what they’re doing is mimicking natural processes. Nature will bury them in sand without human intervention, but that takes time and a rotting whale can, as Friedlaender puts it, cause anxiety in the community. Performing a necropsy on a whale is not an easy task. “The dumbest thing you could do is try to do this if you’re not trained." Are you a little disappointed that whales aren’t washing up on beaches around the world and exploding? Don’t be. As Friedlaender says, even once they’re vented, cutting them open can still lead to a volcano of guts. No matter how you slice it, or blow it up, dead whales are still wonderfully gross.